In Saturday’s Los Angeles Times, Jason reports on Turkey’s bid to repatriate dozens of allegedly looted antiquities in American museums. The requests include 10 objects at the J. Paul Getty Museum; 18 at the Metropolitan Museum of Art; 21 objects at the Cleveland Musuem of Art; and the Sion Treasure at Harvard’s Dumbarton Oaks. Below we’ve provided the complete article. In the coming days, we’ll be providing additional details on the objects sought at each of the museums. The Getty and the New York Met are among the U.S. institutions the Turkish government has contacted over artifacts it believes were smuggled out of the country. 8:48 PM PDT, March 30, 2012The government of Turkey is asking American museums to return dozens of artifacts that were allegedly looted from the country’s archaeological sites, opening a new front in the search for antiquities smuggled out of their original countries through an illicit trade. The J. Paul Getty Museum, the Metropolitan Museum of Art in New York City, the Cleveland Museum of Art and Harvard University’s Dumbarton Oaks Research Library and Collection are among the institutions that the Turkish government has contacted, officials say. Turkey believes the antiquities were illegally excavated and smuggled out of the country after the passage of a 1906 law that gave the state ownership of antiquities in the ground. Inspired by the success of its Mediterranean neighbors Italy and Greece, Turkey is taking a more aggressive stance toward its claims, many of which were first made decades ago. Turkey is presenting the museums with supporting evidence and has threatened to halt all loans of art to those institutions until they respond to the claims. Loans have already been denied to the Met, a Turkish official said. American museums’ antiquities collections have been the subject of intense scrutiny in recent years as evidence emerged of their ties to an illicit trade in artifacts found in archaeological sites around the world. Confronted with that evidence, the Getty, the Met, the Cleveland, the Boston Museum of Fine Arts and the Princeton University Art Museum returned more than 100 looted objects to Italy and Greece, changed their acquisition policies and formed collaboration agreements that allow for loans to replace acquisitions of suspect material. But new evidence continues to emerge, underscoring that the scope of the problem is far wider. In January, Italy announced that it had recovered an additional 200 objects and fragments from the Met and Princeton after they were tied to an ongoing criminal investigation of Italian antiquities dealer Edoardo Almagia and Princeton antiquities curator Michael Padgett. None of the museums facing requests from Turkey would release a list of the contested objects in their collections, but The Times obtained a partial list from Turkish officials of what the country is asking for. Judging from publicly available records, most of the objects were acquired by the museums since the 1960s and have little or no documented ownership history before that, suggesting they could have come from illicit excavations. The 10 Getty objects sought by Turkey were acquired from dealers, auction houses or collectors for more than $1 million between 1968 and 1994 and include four marble muses now on display in the Getty Villa’s Basilica gallery. According to ownership histories provided by the Getty in accordance with its reformed antiquities policy, several originated with Elie Borowski or Nicolas Koutoulakis, two antiquities dealers known to have ties to the illicit trade. The Getty’s talks with Turkey began in the 1990s, government officials said, and gained steam under the directorship of interim museum director David Bomford, who left the Getty in February. “We expect those discussions to continue and while they do, we will not be getting into specifics,” said Getty spokesman Ron Hartwig. The 18 contested objects at the Met are all from the private collection of Norbert Schimmel, a longtime Met trustee who died in 1990. The museum acquired the Schimmel collection in 1989, and several of the contested objects are now highlights of the museum’s Ancient Near East Galleries. Harold Holzer, a spokesman for the Met, initially denied the museum had received a request for specific objects. He later acknowledged in a statement that Turkey had requested information about the 18 objects in September, adding that the museum is “in the process of providing” that information. Turkish officials say the Met’s only response has been to write a letter to the Turkish Prime Minister Recep Tayyip Erdogan. At Dumbarton Oaks inWashington, D.C., ancient silver plates and other decorative objects known as the Sion Treasure are among the items Turkey is seeking to recover. The treasure was reportedly found in the early 1960s in an ancient burial mound in Kumluca, Turkey. It was acquired by the museum in 1966 from a private collector who bought them that same year from George Zakos, an antiquities dealer with documented ties to the illicit trade. Turkey has been asking for the return of the treasure since 1968, hoping to reunite the objects with the rest of the treasure, which is in a museum in Antalya, on Turkey’s southwest coast. Twenty-one objects are being sought from the Cleveland Museum, which Turkish officials say has not responded to their inquiries. A museum spokeswoman declined to comment or release a list of contested objects. Turkey has long sought the return of objects taken illegally from its borders, with occasional success. Most famously, the country’s government fought a six-year legal battle with the Met for the return of the Lydian Hoard, a collection of goods looted from a burial mound in western Turkey. (It, too, had passed through the hands of Zakos.) The Met agreed to return the objects in 1993 after evidence emerged that museum officials had been aware of the material’s illicit origins and sought to hide it. To the chagrin of Turkish authorities, soon after its return a key piece of the treasure was stolen from the local museum to which it was returned. A similar battle played out between Turkey and the Boston MFA over the Roman statue Weary Herakles. Turkey requested the statue’s return in the 1990s after finding its bottom half in an excavation in Perge. The MFA had purchased the top half in 1981 jointly with New York collectors Leon Levy and Shelby White. 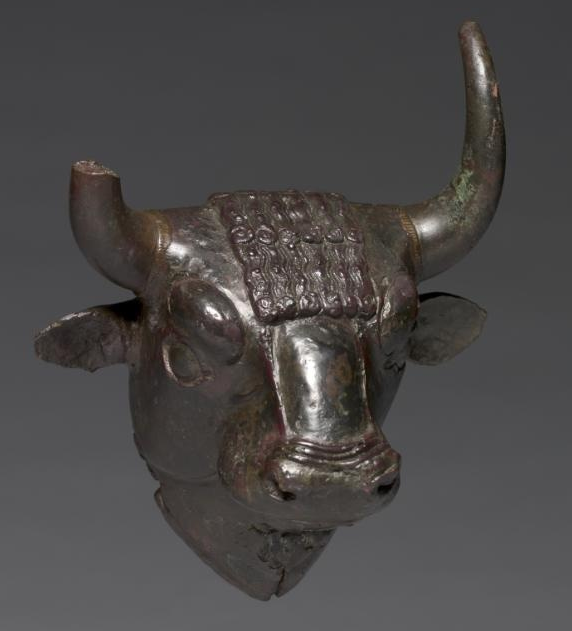 The MFA’s piece has been known to fit the bottom half in Turkey since 1992, but the museum only returned it last September as part of a broader cultural cooperation agreement. In hopes of avoiding such protracted disputes, Turkey adopted a more aggressive stance in 2010, barring loans to institutions harboring contested objects. The Art Newspaper reported earlier this month that two British museums have recently been denied loans. “It’s part of a broader shift in the government saying, ‘culture matters to us,'” said Christina Luke, a lecturer in archaeology at Boston University. While working in Turkey over the last decade, Luke has seen Turkey make major investments in regional cultural sites, efforts to educate children about the value of their heritage and attempts to clarify and strengthen the country’s cultural policies. This entry was posted in News and tagged antiquities, Boston Museum of Fine Art, Christina Luke, Cleveland Museum, Dumbarton Oaks, Elie Borowski, George Zakos, Harvard, J. Paul Getty Museum, Loot, looted antiquities, Metropolitan Museum of Art, Murat Suslu, Nicolas Koutoulakis, Norbert Schimmel, repatriation, Turkey. Bookmark the permalink. If you step back and look at the bigger news picture, here we are, moralizing about the theft of antiquities of Greece, Italy and now Turkey, totalling in value of maybe 3 or 4 billion, right at a moment when those countries (Turkey is a slightly different story) are being robbed of trillions in interest payments on debt created/innovated by American and British banks. The money spent on interest payments is destroying these societies. I’m not saying you guys are consciously acting as a fig leaf for banker theft, indeed, you are setting standards for future powers to live by, but there is something Mr. Magoo about weeping for a stolen vase in light of the unprecedented historic theft going on in these countries. Turkey, just wait, it’s not going to be pretty. But they may well get some statues back. Richard, you’re right, much better to just hand out money without ever requiring anyone to pay it back. Just like it’s okay to buy, sell, destroy, flood, and internally smuggle antiquities within your country but then cry foul years later when someone else (either an institution that has the items on display for the public or a private collector that appreciates the items) owns them.